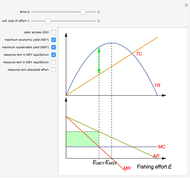 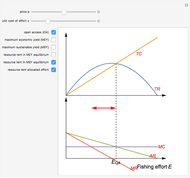 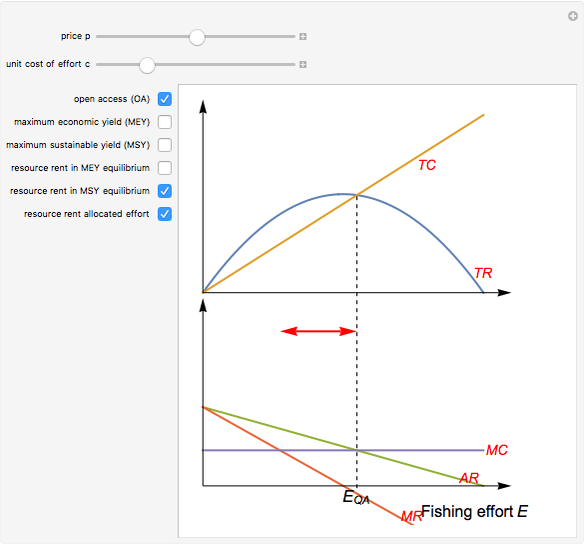 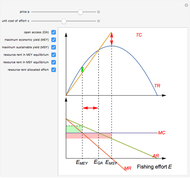 The Gordon–Schaefer model is a bioeconomic comparative static fishery model based on logistic biological growth, constant harvest price, constant unit cost of effort, and harvest linear in stock biomass and fishing effort. 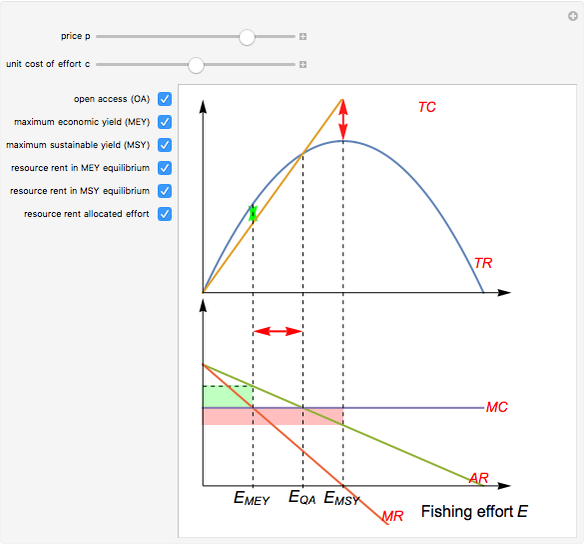 denotes total revenue, total cost, average revenue (TR/E), marginal revenue, and marginal cost. 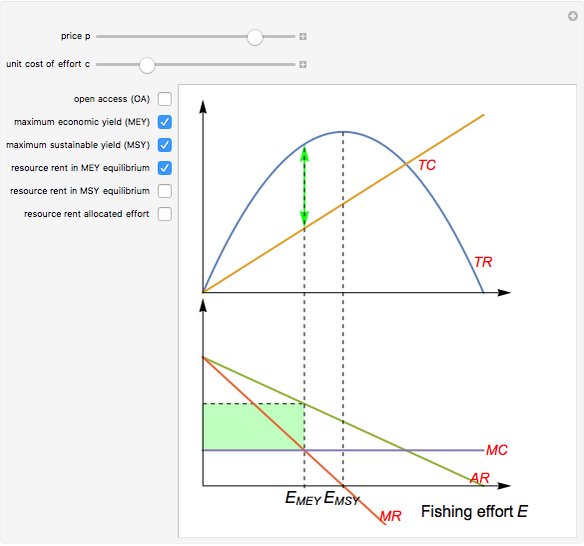 Arne Eide "The Gordon-Schaefer Model"